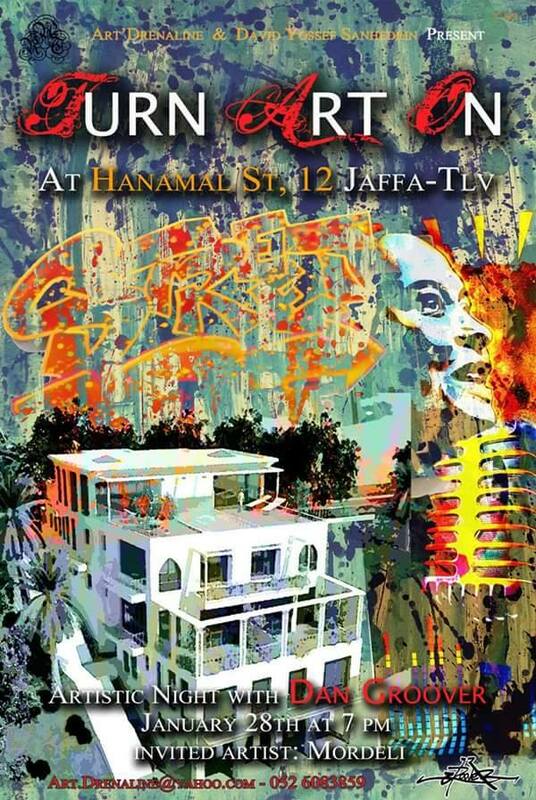 From Dan Groover: "I will present my new artworks collection during an artistic night event, “Turn Art On”, on Thursday, January 28th, 2016, from 7 P.M. Emmanuel Turk, the founder of Icube, invited me to expose at the new building project Hanamal street, 12, Jaffa-Tel Aviv. 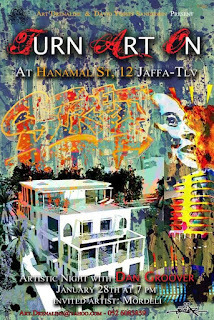 You’ll discover my universe through Graffiti, Calligraphy, Light Painting and Photography; and you’ll have more surprises with video projections and musical ambiance. I am fortunate to do what I do best and what I like, I am always on the lookout for new techniques, I like to meet new creative challenges: painting with light, or in reverse on Plexiglas, imagine laser cut objects, etc. The content remains the most important, and this is expressed, for example, with the Jacob’s Ladder Project, carried out together with Sarah SaHaD. Two years ago Sarah put together the Art’Drenaline Company and together we organize art projects, on which is built an interaction between artist, public and the art, decoration, design, fashion professionals. The Jacob’s Ladder Project is one of these projects, where we fused Words and Images, between Sarah’s poetry and some of my works – such as an image of Broadway, a photo I took during one of my trips to New York, and in the middle of the street, a piano keyboard that goes up to heaven; some will see here a Pop Art creation, others, perhaps, the ladder from Jacob’s dream. The words will then come to support the meaning, the understanding of the image through poems, let’s say “inspired.” We must express and live our story, and the Street Art and Pop Art seem to me good means of expression, because they are simply those that are used today." See more info HERE. Hope to see you there the 28th!